Princess Crystal's Royal Letters: Sea Shepherd Gone to Far? Sea Shepherd Gone to Far? Today, my husband and I were watching Whale Wars on Animal Planet. I believe in protecting the whales and in what the conservation society does on most shows. I believe that whales should not be hunted and killed for any reason by the Japanese whaling fleet. 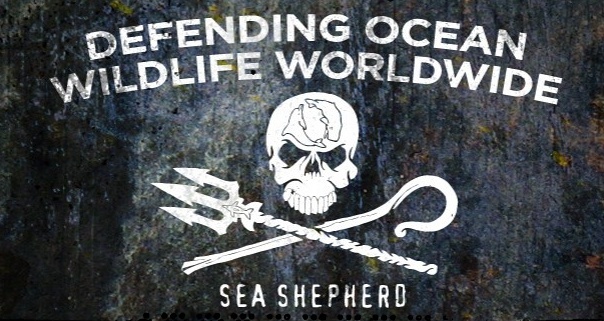 I stand by the Sea Shepherd's oath to protect the whales and other sea life. However, do people literally have to die and do the ships have to be so violent against the Japanese whaling fleet? In the show, " A Commander Rises Special" from Season 13, the Bob Barker put 47 lives in danger when Captain Peter H. decided to place his ship between two of the Japanese whaling fleet. Furthermore, the Captain Luis and crew on the Sam Simon were trying to stop the Japanese tanker from reaching the other ships in the Japanese fleet to refuel. The Sam Simon adverted an environmental disaster with the Japanese tanker ship, by backing off.